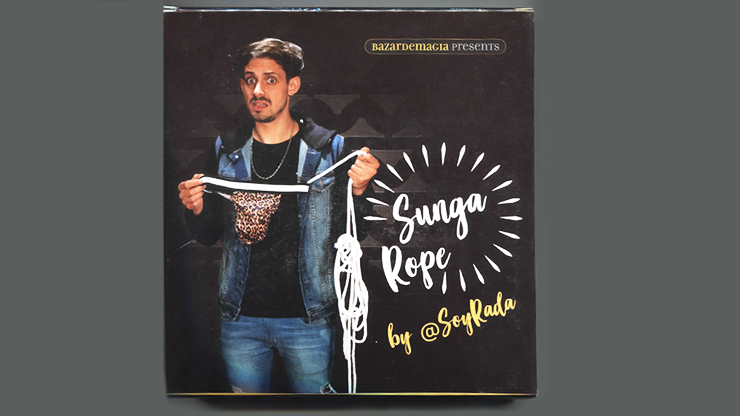 Today, when you order "Sunga Rope by Bazar de Magia", you'll instantly be emailed a Penguin Magic gift certificate. You can spend it on anything you like at Penguin, just like cash. Just complete your order as normal, and within seconds you'll get an email with your gift certificate. A classic effect and quite funny! During his performance, the magician notes that a piece of rope is hanging from his jacket sleeve. He pulls from the rope's end and some 5 meters of rope emerge from his sleeve, until the moment when the rope gets stuck.